How can we help? Each and every one of us is a potential volunteer, there’s never too many of those and they’re always needed! So just contact them and ask how you can help and when. Or you could just support the cause from the outside by buying their fundraising items like the well known blood type bracelet or the keychain etc. And of course you have to help them spread the message through social media! But most importantly, you can take up the challenge, donate and become someone’s hero! On the 23d of October, 53 USJ students from the Huvelin campus became heroes! They donated their precious blood to the hospital of Hotel Dieu. We admire the step they took and encourage them to keep on giving. 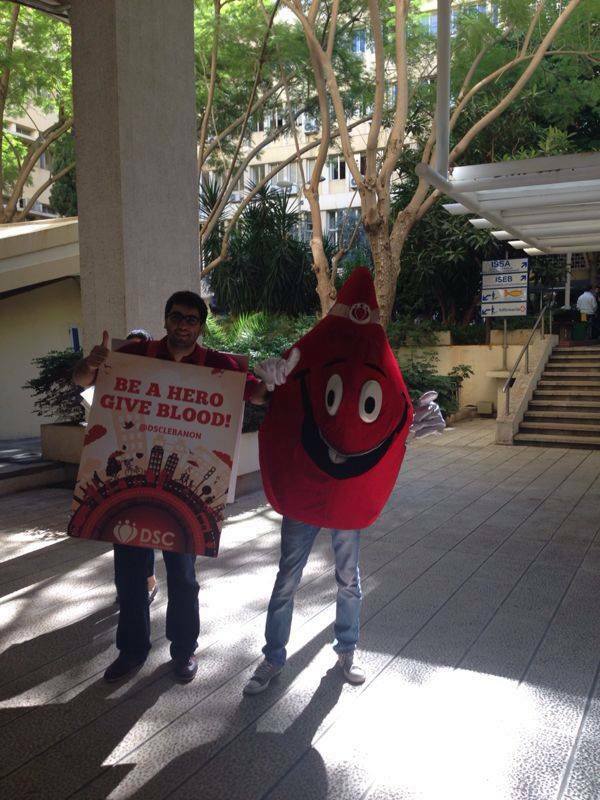 The Blood Drive that happened at the campus is one of the many DSC organises on different campuses all around Lebanon, making it easier for students to donate. So go on, take that step and be someone’s hero! Reblogged this on The blog donation central. Suivant Article Suivant: Beyrouth, une cité mondiale ?